The Brother HL-6050 series of monochrome laser printers is available in Brother HL-6050D and Brother HL-6050DN models, one including Base T Ethernet connect ability and both containing included duplexing software. Each printer in the 6050 line offers superb image quality and a double sized stock paper capacity. Though many Brother products rely on their HQ1200 enhanced quality for high resolution printing, the Brother HL-6050 is capable of pulling off true 1200 x 1200 resolution, making it a great solution for printing large scale black and white imagery, as well as monochrome brochures and folded pamphlets with that extra sharp, professional look. The Brother HL-6050 has an oversized stock paper supply that we don't see too much any more in the faster, sleeker personal printers of today. With a full 600 sheet paper capacity, which consists of a 500 sheet paper tray and a huge 100 sheet multifunctional tray, the unit may be bigger, but users will find themselves burdened with paper refills half as often. It is even expandable with a second tray that brings total capacity 1,100 sheets, and allows for three types of media to be loaded simultaneously. Built in automatic duplexing on the D and DN models allow for double sided prints to be done easily, with little user involvement. 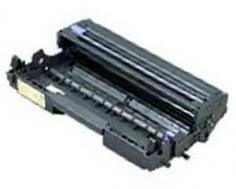 It can also help to reduce paper cost and usage by as much as half. Both PC and Mac users can utilize duplexing, as well as full print resolution. The 32 MBs included should prove to be plenty for large print applications, but it is also expandable, to a degree, up to 160 MBs total. This can be useful for preventing slowdown when dealing with large print applications, though expensive. High speed USB 2.0 connection, along with Parallel, is present, but also 10/100 Base TX and Base TX network connections as well, allowing almost any setup full interaction. A wireless option is available separately, but not included. The network data link protocol used by the device is EtherTalk, which can then be managed by tools such as Web BRAdmin, BRAdmin Pro, and managed from the internet, leaving workgroup users plenty of options when it comes to controlling the print supply. 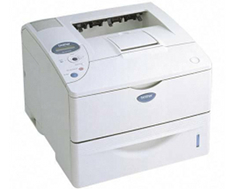 The Brother HL-6050 could have been the perfect small office printer, if only its print speed were a little higher. In an age of a 30 page per minute standard and above, the unit's 25 pages per minute reduce its appeal to a certain degree. Its first page out time is also just a little on the slow side, at around 11 seconds. The control panel is fairly limited, with a simple 3 color LCD display and simple button layout, but this still should be enough for many applications. 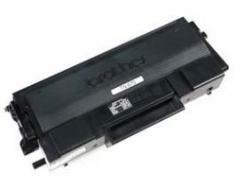 Review it: "Brother HL-6050 "
Third party, high yield toner cartridges are available for the Brother HL-6050 and carry a 7,500 pages worth of high quality toner, while the unit uses a drum unit that can hold up to 30,000 pages worth. Bother of these figures are enough to protect users from constant toner swapping.